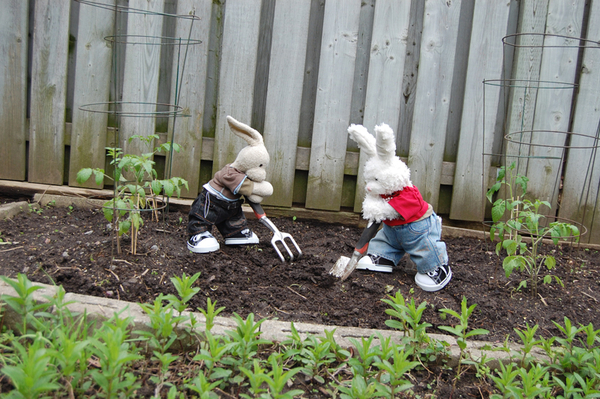 Zackary Rabbit u two did werk beary hard in dat garden! Zackary Rabbit Ummm some of those "weeds" look a bit suspicious! Zackary Rabbit I love gardening are you growing carrots? Looks like Rufus is pulling his weight!! Zackary Rabbit Rufus Rabbit Great work! Can't wait to see how it does! = Hugzzzzzzz!